The old Val Cioccaro on what is now the road that leads from Asti to Nice. Here it's written the history of the Ronzano farm which, in the cultivated vineyards, seems to combine the Langa between Alba and Asti. 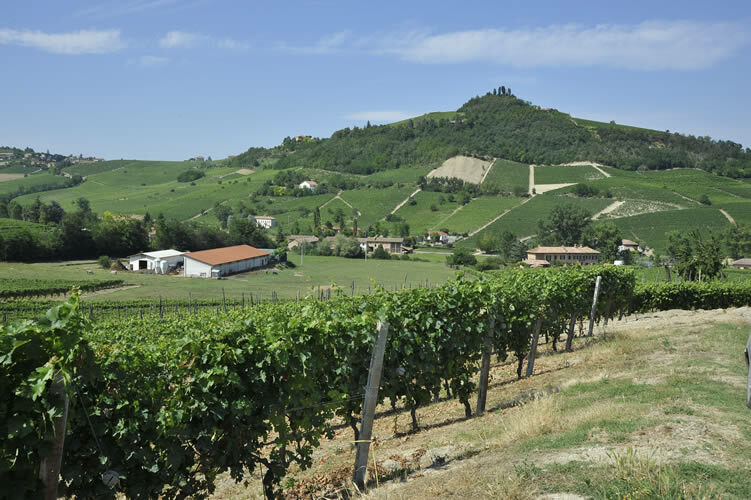 As a flight between the hills of Neive and Costigliole d'Asti, Langhe linking two lands that offer fine wines and breathtaking panorama which tourist should not miss. Costigliole d'Asti is a village in southern Piedmont and extends between Asti, Monferrato and Langhe. A place where history has done its part: there are still some castles and areas of great interest. Just giving some examples the castle of Burio, the parish church of Saint Siro, the parish Church of Our lady of Loreto, the castle of Costigliole, the Museum of Sacred Art. The delicacies enhance further the village: white truffles, appetizers, first and second courses: veal with tuna sauce, ravioli al plin, tajarin, roasts and stews. Not to mention the desserts: chocolate bunet (pudding), zabaglione with Moscato, torcetti cookies. Neive is a village of the Langhe which with Treiso, Barbaresco and San Rocco Seno d'Elvio, form the four villages of the area suited to the cultivation of Nebbiolo grape, from which it derives a noble high quality wine of the same name. In this village Barbera d'Aba. Dolcetto d'Alba and Moscato d'Asti find their perfect place. Neive is considered one of the most beautiful villages in Italy, thanks to its historical centre clearly of medieval origin where the tourist can enjoy the narrow streets, the Clock Tower, the lounge Piazza Italia, Palazzo Borghese which houses the City Hall. 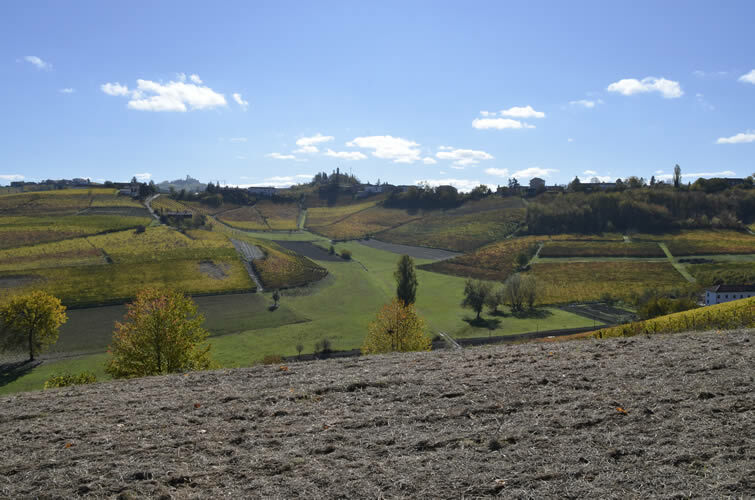 The Ronzano farm combines metaphorically Costigliole d'Asti to Alba, and exalts them in its wines. 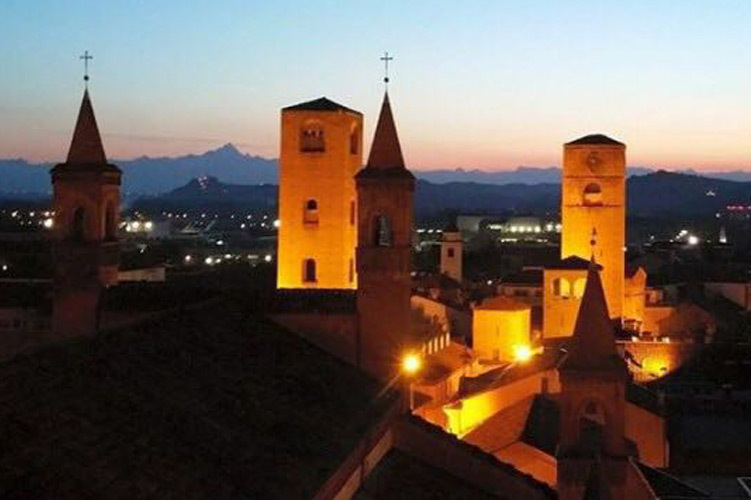 In the locality of Madonnina, a few steps from the town of Costigliole, rise the sanctuary of Our Lady of Grace, a sacred and spiritual pilgrimage destination. It was built in 1727 in the same place where there was already a pylon with the painted image of the Virgin. The sanctuary history is linked to legends about miraculous events: two soldiers escaped from a certain death by invoking the help of the Virgin Mary and the healing of a mute young shepherdess. The building is in the late Piedmont baroque style houses, in addition to the image venerated, also a painting of the Madonna and child in the act of blessing Costigliole, work painted in 1840 by Cottolengo of Bra, brother of the blessed Giuseppe Benedetto Cottolengo.